We have seen several new colorways of the Air Jordan 12 this year and this May, another retro edition will be hitting shelves. 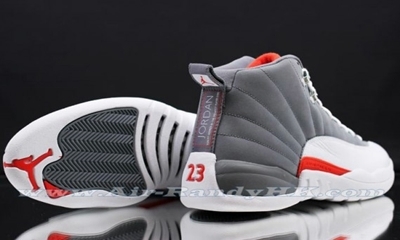 The Air Jordan 12 Retro will be released in Cool Grey / Team Orange – White, which looks very simple but is very promising. The silhouette features an upper part made with the combination of cool grey suede and white leather accents and enhanced with team orange touches. Watch out for this one. We will keep you updated with its official release date.